Today’s post will focus on the importance of establishing a culture of productive talk and setting up structures to support children engaged in speaking, listening, thinking, reading and writing. Truthfully, tone and talk seem to go hand and hand when establishing a writing workshop environment. If tone is the heart of writing workshop. Talk is the soul. So I have a confession to make… early in my teaching career, and for a long time, I worried about teaching writing. I wasn’t a confident writer myself, and I struggled with how to teach writing. I must admit that I assigned my students thematic writing topics. I even created journal prompts for them to use as a scaffold, thinking foolishly that if I let them pull the topic out of the journal jar they would feel empowered to write. Right? Wrong! This month I’m hosting my second workshop series! This time it's a Back To School series full of tips to help jump-start writing workshop in your new school year!!! Now I’ll be sharing tips that have supported me not only as a teacher, but as a literacy coach and consultant using the Writing Workshop Model. 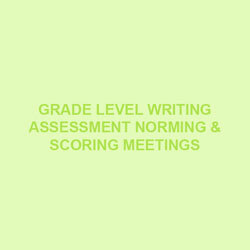 For the last sixteen years, I’ve taught and coached grades K-6, using the workshop model which proved to be a powerful approach to teaching writing, consistently yielding simply miraculous results no matter what grade level I was teaching. Looking back, there were three things that really were the change agents responsible for undergirding a successful writing workshop no matter what grade level I was teaching. Good Reads | Pure Literacy's 1st Book Club Chat! Wowza, I can’t believe that July has flown by, and here we are meeting up to talk about our professional good read summer challenge book DIY Literacy by Kate Roberts and Maggie Beattie Roberts. DIY Literacy lived up to all my expectations and more! Today I’ll share with you my take aways from this professional good read. First, I just want to say how much I appreciated that so many of you joined me in the first Pure Literacy Summer Reading Challenge. Thanks for spending some of your precious summer hours reading this amazing professional book along with me. Top Summer Good Reads and Resources For Kids! As many of you know, I just LOVE children’s picture books. I think my love affair started when I was sixteen and had my first summer job working in a public library as an assistant to the children’s librarian. Talk about a dream job! Everyday I got lost in and amongst the stacks of books and literally spent hours exploring and expanding my reading territory. I connected with characters, shared in their adventures and fell in love with picture books. This summer seems to be FLYING by! So I wanted to pop in again with a mid-Summer interruption. Kind of like we do a mid-workshop interruption, I’m here today to share with you a gentle reminder. Only this reminder isn’t about instruction related. Truthfully, it’s just the opposite, but hopefully meaningful. Today I want to share why I think it’s super important to take some time to for you. Summer is finally here! Over the years,I've come to realize that it takes me longer to go from teacher mode to summer vacay mode. I don’t know about you, but for me it’s a big adjustment from going full-tilt to intentionally slowing down and savoring every single minute of those school-free days of summer. There’s much to be said for putting “teacher mode on pause” stepping back, taking a breath and spending some much needed time on reflection, relaxation and rejuvenation. Here’s 6 ways you can make the most of a summer staycation without breaking your teacher bank and that will lead to a healthier, happier, recharged you. What better gift can you bring to your classroom next fall, but a refreshed, recharged, refocused and reenergized you? Time for some exciting news!!!! It's time to announce the winner of the Give Away! Here on the California Central Coast, summer is upon us. I hope you are well into R & R mode. I don’t know about you, but this school year was especially jam-packed busy and I am super excited to relax and recharge this summer! And by recharge, I mean finally having the time to explore new books, and revisit some tried and true favorites, looking for great literacy ideas to bring into to the classroom this next school year. Like most of you, I have a long list of books that I am hoping to dive into. So in the spirit of summer good reads teacher reading, I will be sharing some books I am especially excited about and ones you may consider worth checking out. And I thought I’d hopefully coax you to join me in reading one this summer with a Pure Literacy summer teacher good reads challenge. Some things are better to do with friends, right? So as promised, in the spirit of assessment season, this week we're talking about formative writing assessments and analyzing student writing in the company of colleagues. 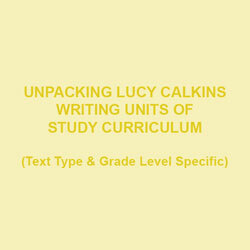 As many of you know, the word has spread and I’ve been super busy this year supporting teachers in implementing the Calkins Writing Units of Study Curriculum. Honestly, I feel like I have one of the best jobs ever. I visit school districts, spend time modeling lessons with amazing students, unpacking the writing curriculum and assessment tools with fabulous teachers. One of the powerful parts of any curriculum is the assessment component, and that is so true of the New Units of Study Writing Curriculum. Last week on the blog we talked a bit about assessment in my Assessment Shoptalk: Data Driven VS Student Driven post. It's no surprise to those of you who read the post, that I am a huge believer in looking at what a students' strengths are and build from there. While attending Reading, Writing and Coaching Institutes at Columbia University's Teacher College, I learned that reading and writing steps could be broken down into "moves" students could follow. This resonated with me, having been a Reading Recovery trained interventionist, analyzing students' reading and writing behaviors, finding their strengths, and nudging them along a progression of skills just made sense. So in this post, we'll explore how to do just that. In my role as a literacy consultant, I get to talk to a lot of teachers. I also spend a lot of time listening to teachers and it’s that time of year again, when it seems like everyone is talking a lot about data results and testing. What are we actually measuring when we test children? And do we really get honest and accurate results that will be used to inform our next steps in instruction, or are we essentially finding out who has issues with text anxiety, who has the necessary computer skills to navigate the on-line assessments, who has visual spatial awareness issues and can’t seem to complete the test accurately and never seems to get the information completed correctly, and who has time management issues and never completes the assessment at all. Suffice it to say, the list of test- taking hurdles goes on and on, and I haven’t even talked about bandwidth, right?! Here it is, my fifth and final post for the Glossary of Writing Workshop Terms series! 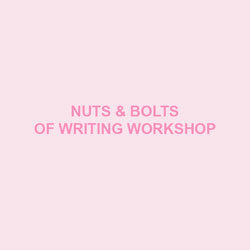 This post is more of a reflective on this series as a whole but as we come to the end I hope you have enjoyed the series and that it has helped untangle some of the commonly used terms associated with Writing Workshop. This week I’m tucking in a little surprise post in the middle of my Glossary of Terms for Writing Workshop series. For those of you familiar with workshop instruction, think of it as a mid-workshop interruption! And, it’s a very important interruption, I’d like to take a moment and celebrate Teacher Appreciation Week!!! Just dropping by with my fourth post in the continuing series about terms frequently used in Writing Workshop with my own definitions. This post is dedicated to untangling terms associated with procedures and strategies in Writing Workshop. 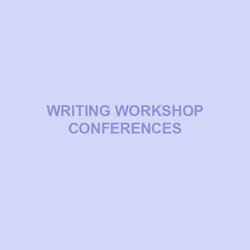 It’s all about the 12 Most Common Writing Workshop Procedures and Strategies. I’m back with my third post, in the continuing series, about the terms frequently used Writing Workshop words with my own definitions. If you are being asked to teach in a Writing Workshop model it helps to know the lingo. In this post, you’ll not only learn the lingo but, more importantly, the 5 simple predictable steps that create the architecture of a mini-lesson. Now, this post is all about the Mini Lesson: what, when and why to use them. You’ll not only learn the lingo but when to use four of the most common types of mini-lesson instruction. I really hope this series of little posts helps to untangle some Writing Workshop terms and proves to be you little Writing Workshop lingo go-to. After receiving some fabulous feedback on my blog post The Top 12 Glossary Terms for Literacy Models as well as some more in-depth questions on the topic I've decided to run a Writing Workshop Glossary Terms Series for Teacher Tips in April! So, every Sunday for the month of April, I'll have a new post in the series expanding on the last. I'll be discussing terms and touching on topics such as essential features of Writing Workshop, instructional strategies, mini lessons and more! If you are being asked to teach in a Writing Workshop model it helps to know the lingo. So this first post is all about describing some of the essential features of Writing Workshop. Let’s start with some of the common instructional strategies used in the hour or so of Writing Workshop. Recently, I've spent two weeks in the Cambrian Union School District facilitating Norming Meetings, and leading teachers in analyzing information writing from students in grades K-6. Tucked into another week in March, I provided information writing demonstration lessons in K-4 classrooms in the Saratoga Union School District. It's been a rewarding experience to spend time with these amazing teachers and incredible students. The work that is taking place in both these school districts to advance student writers is truly remarkable, and I am thrilled to be a part of it. While leading grade level norming meetings, to look at student writing performance assessments closely using the rubrics from Writing Pathways, I was struck by the dedication, determination, and professionalism of the teachers. However, it occurred to me that norming meetings can also be a time when predictable problems are encountered. For those of you who have taken part in, or led, a writing scoring calibration I am sure you'll agree some predictable pitfalls arise when looking at student work in the company of colleagues. It’s the day after my last training this week with Amanda Hartman, lead staff developer, from Teachers College Reading Writing Project. Since leaving the conferences, my brain has not been able to turn off! I’ve been looking forward to these California training days since it was announced that Amanda was coming to do some specific training on adapting Reading and Writing Workshops to Support English Language Learners, Grades K-5. The information that was shared was so beneficial and inspiring that I couldn’t wait to share all these valuable strategies with you and others who weren’t able to attend. My hope is that by sharing these top five takeaways from this conference will provide us with a springboard to talk more about workshop teaching, as well as inspire and influence your work with English Language Learners. My goal is to leave you with some practical ideas to take back to your classroom and share with your colleagues. Educator | Literacy Coach | Consultant | Author | Passionate about empowering teachers with literacy best practices for their young learners. Welcome! I'm so glad you found your way to Pure Literacy and my teacher tips corner! A collection of tips as well as conversations about literacy and learning. If you wish to take the conversation further or have questions please visit my about and contact pages for more information. Do you have literacy questions? Whether it's Common Core, the Lucy Calkins writing curriculum, writing workshop or literacy coaching... submit your questions below, and I'll answer them here in Teacher Tips. Check out more favs on my products page.